My pick is Isla and the Happily Ever After by Stephanie Perkins! I absolutely love Stephanie Perkins's books. She writes some of the best YA contemporary fiction I've ever read, hands down. Her characters are so adorkable and swoony! Plus, all the pre-reviews I've read for this book have simply gushed about it. I can't wait for it to come out! 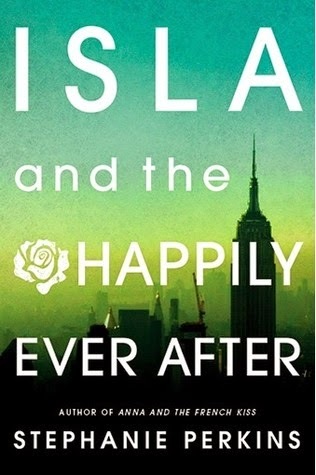 Isla and the Happily Ever After releases August 14, 2014. All I can say is It's About Time! I have been waiting for this book for SO long! I added this to my Goodreads tbr list on Feb. 18, 2011. That's 3 1/2 years. This book better be EPIC!